Arab cinematic production started in Egypt with the first news film in 1909, and silent movies in the 1920s. However, the foundations of the Egyptian film industry were not laid until 1935 when Misr Bank established Studio Misr, leading to the production of an average of 20 films per year by the early 40s. By 1948, six further studios were built, pushing up annual production to an average of 50 films, the level it maintained until the 90s. The first Studio Misr production was Wedad (1936), starring the legendary singer Um Kalthum. She was already a star when she appeared on film, and went on to act in 6 films, the last one, and possibly most interesting being Fatma (1947). There was a host of films featuring musical stars including Abdul Halim Hafez, Muhamad Abdel Wahab, Asmahan, and Farid El Atrash. The 1930s and 1940s are seen as the decade of the Egyptian musical with 50% of films produced belonging to that genre, and their influence remained strong until their eventual decline in the 1970s. Among them are Passion and Revenge (1944), an important visual record of Asmahan’s performances, and A Cigarette and a Drink (1955) starring Dalida, who would go on to become a big star in Europe (and France in particular) with 55 Gold Records. Music provided common ground with other Arab countries, and this facilitated the export of Egyptian cinema to the region. This has lead to a regional success story for Egyptian films and has made Egypt one of the biggest exporters of popular culture to the Arab world. The first Egyptian film to be successfully exported to other Arab countries was the musical Al Warda AL Bayda (The White Rose) (1933) directed by Mohamad Abdul Karim starring Mohamad Abdul Wahab. The film’s success was partly due to Abdul Wahab’s adaptation of music to film. The long instrumental introductions were dropped in favour of 6 minute musical pieces. In Egypt’s star led and populist cinema, actors, dancers, and musicians have significantly shaped the types of films produced to fit with their special talents. The best internationally known Egyptian actor is undoubtedly Omar Sharif who managed the difficult passage from Arab actor to international star. His first role was in a Youssef Chahine’s film, The Blazing Sky (1954) opposite his wife to be Faten Hamama, which started a long career of working with some of Egypt’s best directors, including Kamal El Sheikh and Henri Barakat. Another male lead of the Golden Age was Shukry Sarhan in roles including the award winning Chased by the Dogs (1962). Some of the most memorable female leads are Sarhan’s co-star in Chased by the Dogs, Chadia. Her other lead roles include Al Medaq Alley (1963). She shared the limelight with other great female leads such as the talented and prolific Faten Hamama, and Hind Rostom whose roles include the masterpiece of Youssef Chahine, Cairo Station (1958). The 1940s to 1960s are considered the golden age of Egyptian cinema. This period includes major historical events such as the rule of Egypt by its monarchy, colonialism, the second world war, the popularly backed takeover of power by Gamal Abdul Nasser, and the postcolonial age. Despite this turmoil, there was great consistency in the actors, filmmakers, and institutions from the late 1940s to mid 1950s. It was not until 1964 that the Egyptian film industry was nationalised, and then denationalised in 1970. Nationalisation gave the opportunity to certain directors to free themselves from some of the constraints that the commercial genre dictated. However, whether under the nationalised film industry or the commercial sector, the use of stars remained the norm, and both systems produced distinguished films. In the 1950s and 60s, directors producing films in the Realist genre were gaining great critical acclaim. The gangster film began to thrive in Egypt, with the 60s in particular seeing the rise of the thriller. The literary novel was emerging as a major influence too, with over 10% of films produced in Egypt between 1930 and 1993 being literary adaptations. Some 38 of the novels of Naguib Mahfouz, Egyptian Nobel Prize for literature laureate, have been adapted for the big screen. Some of the most notable of these collaborations are between Mahfouz and director Salah Abu Seif, and in particular the films Cairo 30 (1966) and A Beginning and an End (1960). Salah Abu Seif is regarded as one of the foremost realist directors. Another key Realist director was Kamal Al Sheikh. Like Abu Seif, he began his career working for Studio Misr. Al Sheikh became known for making compelling thrillers such as House Number 13 (1952), a film noir about a psychologist who tries to use his friend to commit a murder; Life or Death (1955), which unusually for the 1950s was shot on location in Cairo, and The Last Night which was nominated for the Golden Palme at the Cannes Film Festival in 1964. One of his masterpieces is Chased By The Dogs (1962) which bore Al Sheikh’s trademark visual flair combined with the psychological depth and tension required for a good thriller. It was nominated for the Golden Berlin Bear at the Berlin International Film Festival in 1963. The 50s and 60s also saw the appearance of accomplished realist films from Youssef Chahine, most notably The Blazing Sky (1954) nominated for the Grand Prix at the Cannes International Film Festival, and his masterpiece Cairo Station (1958) nominated for a Golden Berlin Bear. It was Chahine’s second film, Son of the Nile (1951) an early work of Social Realism, that started his international fame. The film focused on relations between traditional classes and elites, depicting the hard lives of peasant classes. Previous representations of peasants had used them largely as romanticised symbols of national identity. Son of the Nile was part of the official selection at the Cannes International Film Festival. Director Henri Barakat, like Youssef Chahine, Kamal Al-Sheikh and Salah Abu-Seif, made films in many genres. He began making films in the early 1940s and was one of the most prolific filmmakers in the history of Egyptian cinema. Internationally his most acclaimed films were realist works, such as The Sin (1965), about a peasant girl raped by the son of a wealthy landowner. She gives birth in the fields, and inadvertently smothers her baby while trying to stifle its cries. Unable to bear her dishonor and now her crime, the woman kills herself. The Sin’s ‘unhappy ending’ was in stark contrast to the approach of most Hollywood productions, and is more representative of an Egyptian socialist ethos. 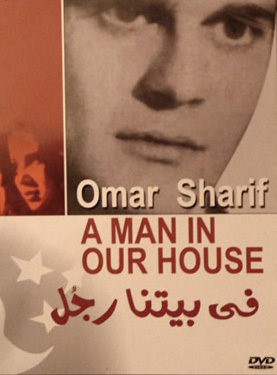 Other acclaimed films by Henri Barakat include his thriller A Man In our House (1961) starring Omar Sherif. Despite the sobering themes of the Realist genre, many of the films of the Egyptian Golden Age bear the quality of a bygone era that seems, in many respects, more glamorous and liberal than what was to follow.